“Gratitude is both an emotion and a character trait,” according to the wonderful authors of a fabulous new book, ‘Character Toolkit for Teachers’. Written by Elizabeth Wright and Frederika Roberts, this book should be on every teacher’s desk! This great book is the practical toolkit we all need as we focus on character education in our schools. What I particularly like is the way this book could be of use to any teacher who is using Habits of Heart in their classroom! So why do we focus on Gratitude? Well according to Wright and Roberts – and thank you ladies for doing all the ‘heavy lifting’ of research for us – increasing ‘gratitude’ can help to increase resilience and wellbeing. Practising ‘gratitude’ can improve happiness and reduce depression. For teachers, it is fabulous to know that there is a significant relationship between gratitude and school satisfaction. Of course, in our Anglican schools, we focus on fostering ‘gratitude’ because it is something Jesus asks us to do! You could use Bible verses to introduce a discussion on Gratitude with your students. In ‘Character Toolkit for Teachers’, there are plenty of activities you could use to foster ‘gratitude’ in your class. One that I really enjoy is ‘Musical Beach Ball Gratitudes’. Beach Balls are useful for many lessons and super fun. I tend to play Musical Beach Balls like Musical Chairs. The students throw the balls around the room to the music. When the music stops, the students with a ball use marker pens to write one thing they are grateful for on the beach ball. The authors suggest one beach ball per five students – which makes this game extra fun! 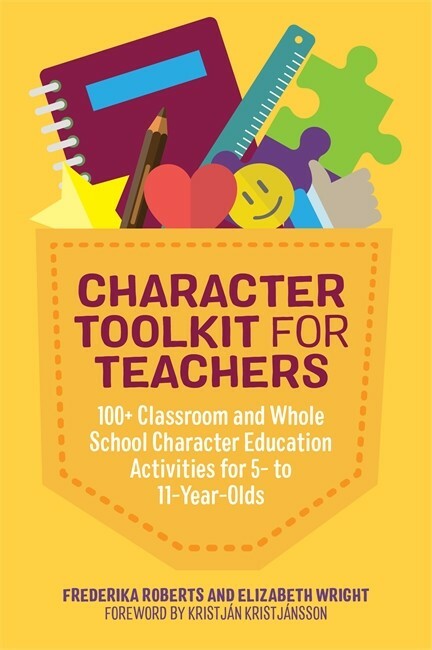 For more amazing ideas to foster ‘gratitude’, order your own copy of Character Toolkit for Teachers.